MONTGOMERY T. SHAW, PhD, is Emeritus Distinguished Professor of Chemical Engineering at the University of Connecticut. 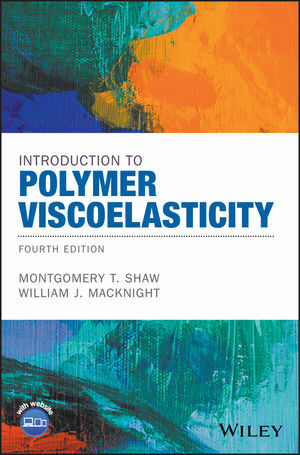 Among his books are the prior edition of Introduction to Polymer Viscoelasticity and Introduction to Polymer Rheology, both published by Wiley. WILLIAM J. MACKNIGHT, PhD, is a Professor Emeritus at the University of Massachusetts Amherst, where he was formerly the co-Principal Investigator for the Center for UMass/Industry Research on Polymers (CUMIRP). He has been a co-author for each edition of Introduction to Polymer Viscoelasticity, all published by Wiley.